Berlin is the best value destination for C&I events in 2012, while London offers the least value, according to a C&IT survey of UK event agencies. 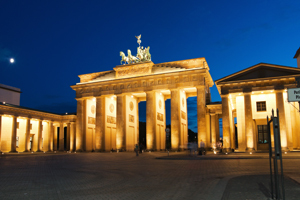 Almost a third (30%) of planners taking part in the survey cited the German capital as a cost-effective option, with 25% naming it their number one choice for value. Meanwhile, nearly half (48%) of buyers said the London offered the least value for events in 2012, with many citing the Olympic Games as the reason why the UK capital falls short on value for money. On the up side, London was voted as the most popular destination for 2012, again because of the Olympic Games. Barcelona and South Africa are also popular destinations for events next year, drawing 25% and 19% of the vote respectively. Vietnam looks set to be the hot newcomer in 2012, with a fifth of buyers naming it their top up-and-coming destination, largely due to the launch of new direct routes from Gatwick to Hanoi and Ho Chi Minh City by Vietnam Airlines. More than 40 UK event agencies took part in the survey, conducted by C&IT.